Who may have thought that even with the advent of audio cassette tapes and Compact Discs (CDs) that the almighty turntable would still be around? In case you don’t know, vinyl sales have steadily increased with the highest sales recorded in 2017 with higher projections for 2019. If that is the case, it means that you are surely on the right track, if you are thinking of getting one for yourself. Nothing beats that natural and warm sound that you get when you play music with a turntable. It is indeed a stereo system in a world of its own. But,if you want a vintage turnatable attached with cassette and CD player, you can go for all in one record players. Isn’t quite interesting that the producers of turntables are still producing this unique music player? As with everything in life, change is to be expected. While the basic functions can still be found in many recent turntables, there are some additions like USB and other features that give it more versatility. You may love the latest turntable in the market, but if your budget is not matching your desire, you can’t help but look for a lower alternative. And that is why you need to determine how much you have or willing to spend on a turntable so that you can narrow down your search. As someone starting out with turntables, you will find affordable turntables online or at auction sales that you can take advantage of. But if you are a high-end audiophile freak, you will certainly want to go for the expensive ones with more features. 2. Is it automatic or manual turntable? You may be wondering what the word ‘automatic’ has to do with a turntable. To help clarify the issue, turntables are regarded as either automatic or manual according to the way the tonearm is set onto the record. Automatic tonearms require that you just push a button and it starts playing. The tonearm moves from its resting position to the side and then goes ahead to play the music after which it automatically returns to its resting position. If you are new to turntables, you will definitely prefer automatic ones. For manual turntables, you will be the one to lift the tonearm and move it onto the spinning record with your hand. There is a ‘cueing’ part that helps to guide you on how to lower or lift the tonearm. 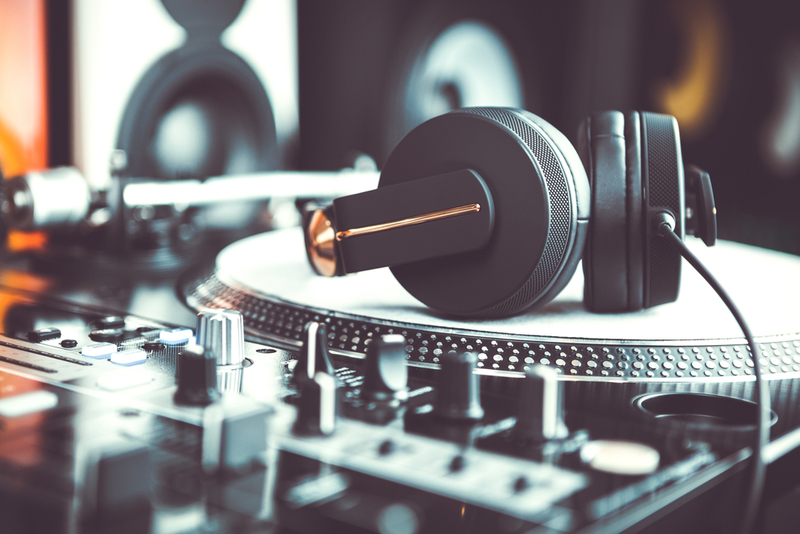 While this may sound tedious, audio enthusiasts cannot but love manual turntables because the fewer features it comes with allow more vibration. 3. Direct or belt drive turntable? Turntables come with either direct drive (where you have the platter motor mounted under the platter directly) or belt drive (where the motor is mounted off to the platter’s side). The audiophile community will not hesitate to choose a belt drive turntable because the belt rubber which holds the motor and the platter absorbs shock and prevents electric signal noise from the vibration coming from the motor. Meanwhile, Disc Jockeys (DJs) will love direct drive because it allows them to rotate the platter backward to add some audio effects without spoiling the turntable. A turntable cartridge is that small piece that holds the stylus and tonearm together. The state of a cartridge of a turntable is very important because if it is in a poor state, it will either wear out your turntable records on time or reduce the quality of its sound. So, when getting a used or vintage turntable, be sure to check for this and if necessary, change the cartridge. 5. Should you for a built-in phono preamp? Phono preamp is what helps you to bring the volume of a turntable to a manipulable level. Recent turntable receivers do not come with a phono input jack that is intended for that purpose. This then calls for an inbuilt-preamp or an external phono preamp. These 5 tips will help you choose a turntable that caters to your specific needs.